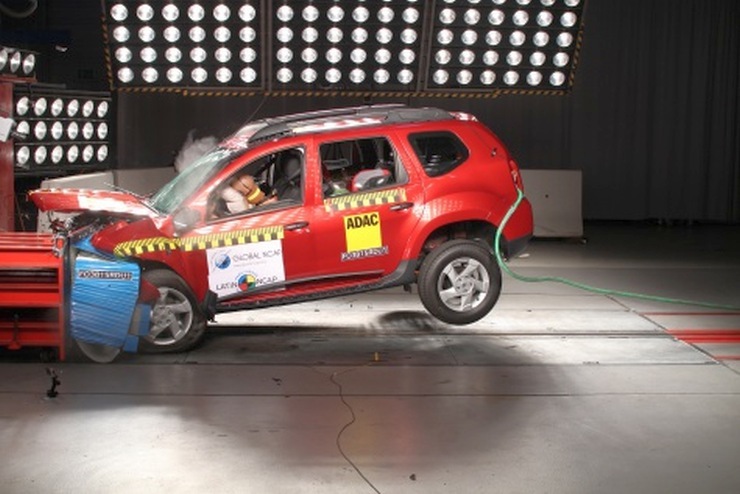 The Latin NCAP, a premier safety testing organization from Latin America, has declared the body structure of the Renault Duster to be unstable. This infirmity, according to Latin NCAP, could adversely affect the knees of the driver and passenger, in the event of a collision. 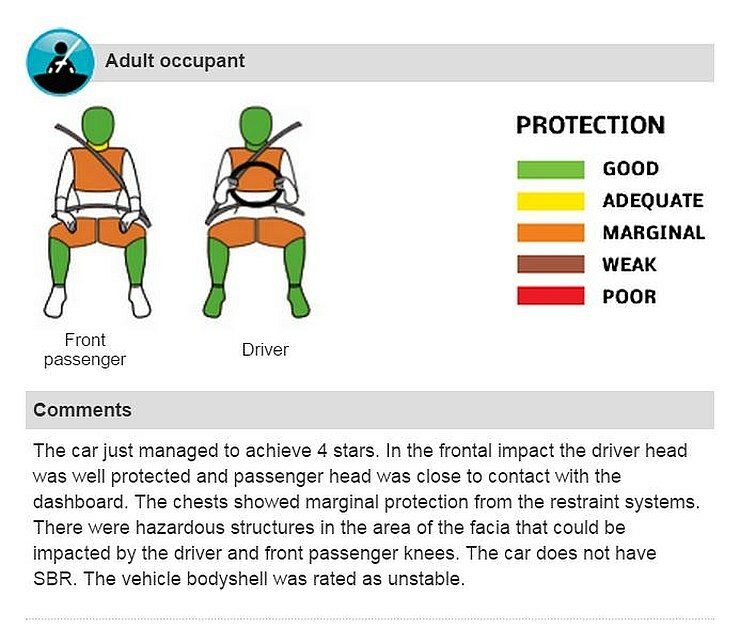 The Duster put through the Latin NCAP testing cycle managed a 4 star rating owing to the presence of a driver airbag. 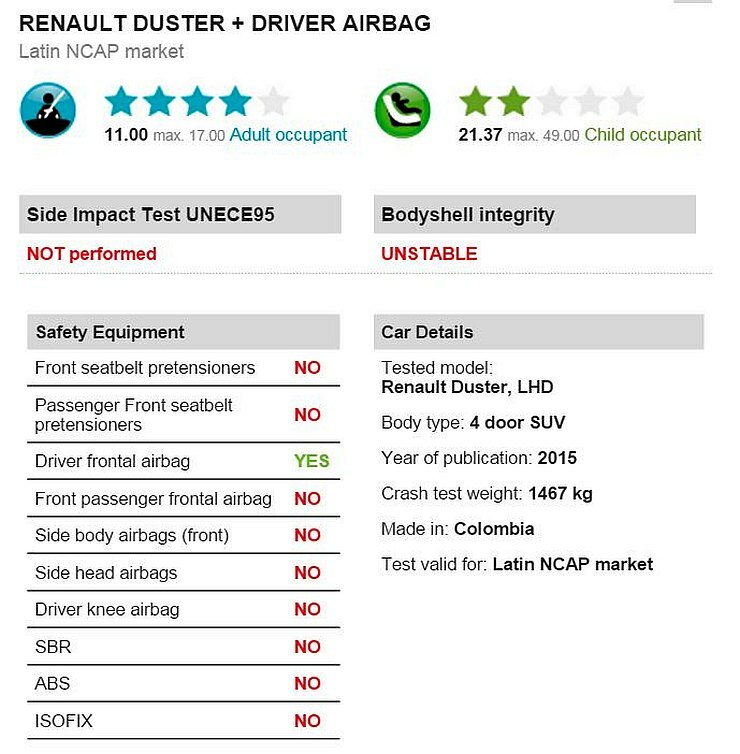 Also, the Duster put through the test was built at Colombia, and not in India. So, the “unstable body structure” nor the “4 star rating may not be applicable to the made-in-India Duster. Meanwhile, Latin NCAP has tested many India-made cars, and has pronounced that they have unstable body structures. Global NCAP is another safety testing organization that has rated many popular Indian cars as having unstable body structures. India is yet to put together a safety testing agency. Called the Bharat New Vehicle Safety Assessment Program (BNVSAP), this body is soon expected to come into existence. It will evaluate and rate made-in-India cars, against new safety regulations. Once the BNVSAP comes in, the Indian car buyer will have a clear cut idea as to how safe a car is, in comparison to its competition. Indian manufacturers have already begun equipping cars with certain safety features as standard. For instance, the newly launched Ford Figo Aspire gets twin airbags as standard equipment on all its variants. The upcoming Maruti Suzuki Ertiga will get a driver airbag as standard across the range. As the new safety regime comes into force in India, airbags and ABS could be standard across all cars sold in the country. Many existing cars may not make the cut though. Such cars are likely to be discontinued, and may or may not be replaced by new models. 2017 is when the BVNSAP is expected to come into place.